This is one of the library books I read over and over these days. Piper loves it because, like the little girl in the story, she thinks kindergarten might be a little scary, too. 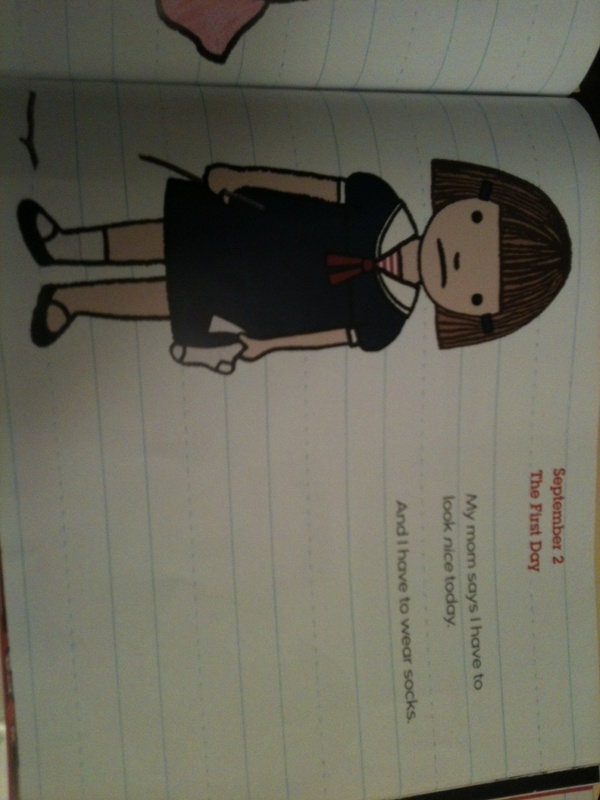 The story girl decides to keep a diary about her feelings as she embarks on her new adventure. First, she plans her outfit. Piper loves this idea because it involves her favorite things: choosing her own clothes, tutus, and rainbow anything. “I think she looks beautiful,” Piper says during our 316th read. See how sad the little girl is? Her mom even made her wear socks. Someone should call protective services. Piper finds this a great injustice. “She’s already scared of school and then her mommy makes her wear something scary, too? Socks are so itchy.” Piper gets this little girl. She wants to fight for her right to dress herself. The story ends well. No surprise there, huh? 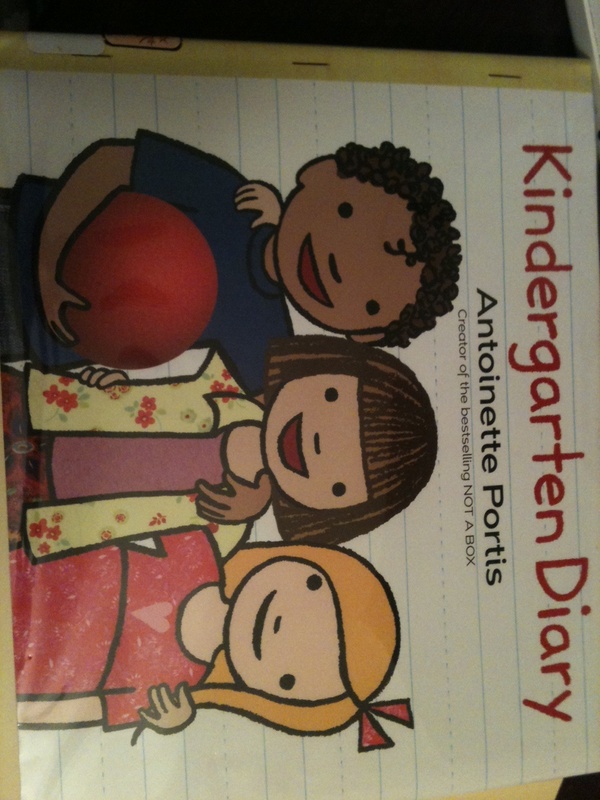 The little girl loves kindergarten. She never wants to leave. She forgives her mom for publicly humiliating her by making her look presentable on the first day of school. Piper won’t budge on the issue, though. “You’d let me wear the first outfit, wouldn’t you?” Piper asks. I nod, reluctantly. It’s true. This isn’t my first rodeo. I pick my battles. Besides, rainbows and tutus make Piper feel powerful. But I understand the other mommy. I’ve gotten more than a few looks for letting Piper be a Piper. “You’re a good mommy,” Piper declares, which probably just earned her a pass to wear Mardi Gras beads and a tiara tomorrow, too. With ruby red slippers. Piper believes you can’t over accessorize. Whatever it takes to feel like you can conquer kindergarten and the world. 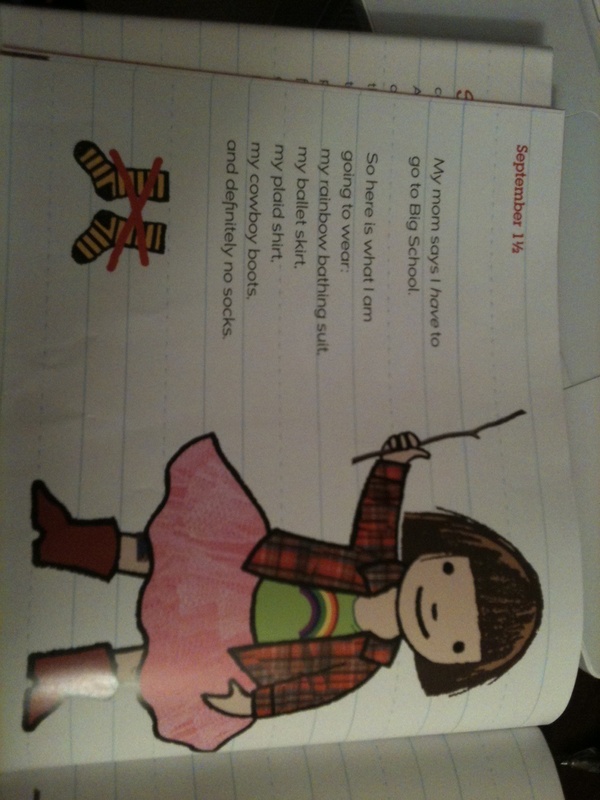 This entry was posted in Daily Dharma and tagged humor, kindergarten, kindergarten diary, letting kids choose their own clothes, parenting, piperism, rainbows, ruby red slippers, tutus by melissa.scholes.young. Bookmark the permalink. I couldn’t agree more. Whatever it takes to feel like we can leap from tall buildings! I loved this one, Melissa.